Philanthropic services manager at Philanthropy Australia Chris Wootton looks at the common myths and some clear “work-arounds” for preparing and submitting grant applications. Preparing and submitting grant applications is a time consuming task – which more often than not, ends in disappointment! However, this does not have to be the case if we recognise some of the most common myths and look at ways to “work-round” them. There are lots of funds available? Grant funding comprises a very small percentage of funds available to Not for Profits. Recognising this early will avoid disappointment and lower expectations. There are far too many organisations seeking funding for very worthy causes – for example 78.6 per cent of respondents to the Grants In Australia Survey (2006 to 2014) indicated that they were reliant on government grants – and 10.6 per cent were reliant on philanthropic grants. Always look at your proposal through the eyes of a funder, eg they are often looking for gaps or new ways to address challenges. Ask yourself: is it possible that another organisation may apply for something similar? If so, you need to work out what makes your organisation, your approach and your proposal unique? 2. If I am unsuccessful – it must have been my application? It may not be the case. Even if your application meets all specified criteria, addresses gaps and is highly innovative etc. it does not guarantee success. For example, a survey undertaken in 2012 by Queensland University of Technology found that 75 per cent of research applications were unsuccessful. This low success rate is due to many factors such as: insufficient funds available, the funder may have already committed funds in your cause area or geographic area, you may have already been funded recently – as some funders prefer to share funds around etc. To reduce this from occurring contacts the funder, if you are able to do so. Try and ascertain their current and future interests and priorities, find out what has been funded recently, determine who actually makes the decisions eg the trustees, a committee or an expert panel – as this will affect greatly the application content required. Writing an application is easy! All applications take time to prepare appropriately and if you do not have time available – don’t start! Often you also have to obtain information from many other staff in your organisation and this also takes time – before you can even start the application process. 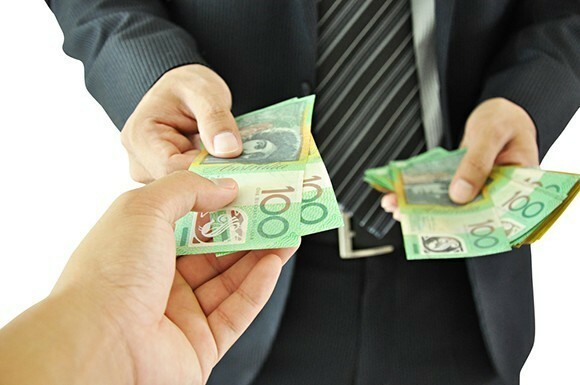 It is no wonder that a report by the Australian Institute of Grants Management found that 28 per cent of applications, once commenced were never even submitted. Many may agree with this statement; however applications to philanthropic funders are generally very different to other granters – and hence they need to be approached in a different style. Philanthropic funders will be interested in the story of what you want to do and achieve – not necessarily every detail. Your application may be assessed on far more subjective grounds – rather than by scoring, rankings and specific criteria that other bodies may require for due diligence purposes. So remember whom you are writing the application to and adjust accordingly. Generally the more concise you can be the better. Focus on core information and if there are more complex details and processes – attach these as appendices if necessary or note them as being available if requested. Only attach other documents, DVDs, samples and references if requested to do so. Not quite correct, in many cases it is not possible to meet and discuss your application / proposals. However there are also many that you can approach and others that actually insist that you contact them to discuss your proposal before you apply. If you are able to contact a funder – do so! If there is information on websites and there is an offer of briefings sessions – always try and attend – as it will be the nuances you may obtain that will assist in deciding whether to apply or not. Yes this is true and this trend is increasing. Many funders are now choosing to undertake their own sourcing of causes and organisations to support and / or are focussing their grants so that fewer grants are available and / or have an Expression of Interest process before you can even submit an application and / or no longer accept unsolicited applications. This is where your communication channels and the role of your board become more important than ever before. Many potential funders are very active on the web and social media and if your success stories, impact and challenges are not part of these channels and networks – then you will miss out on such funding opportunities. I’ll just apply anyway – who knows? If this is the case – don’t. You are not only wasting your time – you are probably wasting the funder’s time as well. Only apply if you feel totally confident that you have identified the right funder for your organisation and your particular proposal. To find out more about how to successfully apply for grants – register for the Pro Bono and Philanthropy Australia webinar on 10 August, 2pm to 3pm and hear from Gandel Philanthropy, Helen Macpherson Smith Trust and Equity Trustees on what they are looking for in an application and consider attending the PA Conference and Masterclasses from 20 to 22 September. 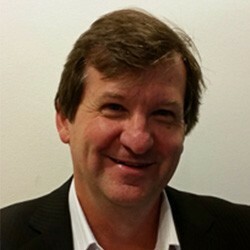 About the author: Chris Wootton is philanthropic services manager at Philanthropy Australia. Australian Institute of Grants Management, 2015, A Major Report Outlining the Findings from the First Eight Grants in Australia Surveys.